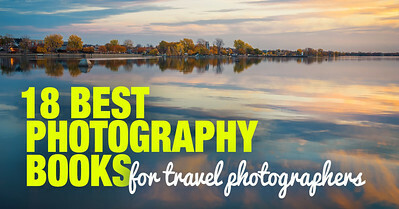 Travel photography may seem like the easiest job ever at first glance. You just travel the globe and take pictures to earn your living. In reality, though, it’s one of the most complex and difficult genres in photography. 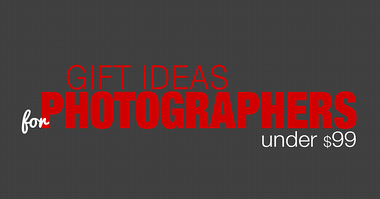 It’s a combination of many other genres such as portrait, landscape, street or architectural photography. Sometimes it’s all these genres in one single picture. Unlike traditional portrait photography, travel photography requires you to get closer to people you haven’t met before and who probably wouldn’t understand if you spoke to them. In some countries or communities, the attitude to the travel photographer can even be hostile. You need to possess excellent social skills in addition to your trained eye and expertise to take a great portrait that will tell a story. 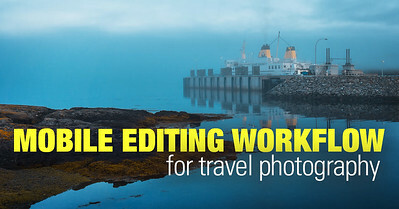 Even shooting landscapes during travel is more difficult. You don’t always have the luxury to go back to the scene again and again, at different hours or seasons. You need to take a great photograph here and now. And the complex nature of this genre is just the beginning. Just like with traditional landscape photography, you always face the challenges of weather and quickly changing light conditions. This makes both taking care of your gear and getting the perfect exposure extra difficult. Travel photography also requires a great deal of planning ahead. You surely don’t want to take a photograph of that famous temple in Indonesia at peak season (unless you want to shoot the thousands of visitors, that is). Or get there at midday when the light is the harshest. To get the images you want, you will almost always have to devise a detailed schedule and follow it strictly. This doesn’t really sound like just going on vacation with a camera in your bag. Talking about bags, weight is one of your top considerations when you do travel photography. Away from home and probably your car, you can’t afford to go out with just a camera bag. So the size, weight and amount of your gear really matter. You might have to do with just one lens or choose lighter and more versatile camera and tripod. All in all, there are numerous things to think about before you go to your first (or next) shooting adventure. You may just grab your camera and head on, learning everything in the process. Or you may choose to save a few years and delay your next trip perhaps but prepare yourself better. Over the years I have gained a lot of experience as a travel photographer, ranging from location scouting to editing on the go. Here I’ve compiled all the articles on this website related to travel photography. 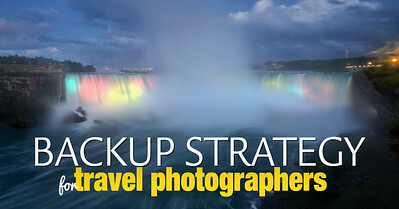 They’ll give you resources to get inspired from or tips that will make your travel images better. Feel free to comment or ask me questions about any of the topics I’ve covered. I’ll be glad to share my knowledge and experience with anyone who’s hit the bumpy but exciting road to travel photography. 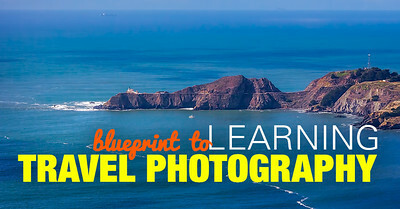 A simple 4-step process for becoming a travel photographer. 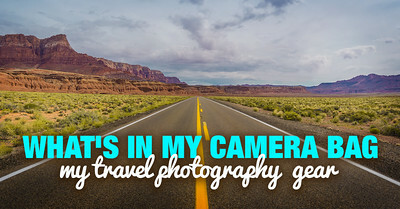 It’s not enough to just love travel and photography to actually become a travel photographer. 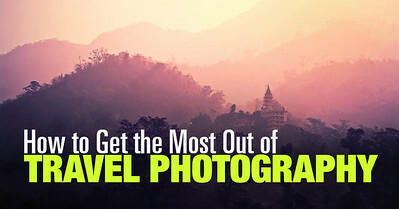 If you dream of traveling around the world and taking beautiful pictures but don’t know where to start, this article is for you. I have outlined four steps that will take you from the dream on to the road. The worst thing that can happen to you during a trip is losing all your photos. This article will give you suggestions on how to back up and store your digital files on the road and back at home. It’s also accompanied by a photo and a detailed description of my travel setup. 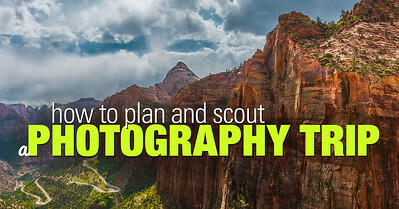 The success of your photography trip depends a lot on the planning and scouting you do beforehand. Here I have enlisted and described in detail my favorite apps and websites that help me find the best locations before I have even arrived at the scene. Technology has advanced to an extent where I no longer need a laptop during all my travels. Here I’ll tell you how I back up my photos and view them on my smartphone/tablet. I’ll also preview my favorite app for editing pictures on the go. If you’re looking for inspiration for your travel photography, this article will help you find it. 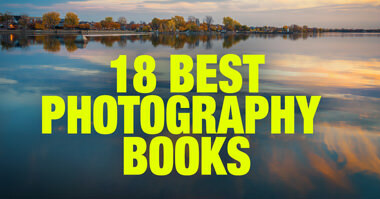 I’ve previewed 18 books on the art and practice of photography that I have found especially important and influential in my own photographic journey. 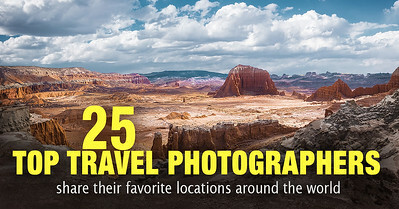 I asked some influential travel photographers to pinpoint their favorite location for shooting. This article illustrates their answers with an image from their portfolios. Some of the locations are popular and others – not so much – but they all give you an idea of what to look for in a place when you want to photograph it. Do you want to know what gear I have used to take the images you see on my website? This article previews my latest set of cameras, lenses, tripods, and accessories. In addition, it explains why I switched from a full-frame to a mirrorless camera setup. It’s not enough to just visit a beautiful place with the right type of gear to create a stunning travel photograph. This article will give you a few important tips on how you can travel and photograph more mindfully and efficiently, creating not just images but stories to remember. This collection represents 10 years of my experience of editing and processing photos and reflects my personal style and my artistic vision. 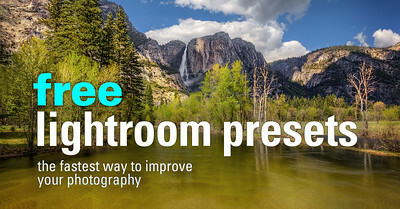 Just download the collection and I promise that it will help you to improve your photography, save time on processing but, most importantly, it will demonstrate how I approach the process of editing photos. I’m new on Twitter and you were the first person I followed, since as a beginner in photography world, I’m interested in everything which I can use to improve my knowledge. Now, I have amazing tutorials and I received cool presets. Thank you so much, Viktor! Have followed you for about one year and you presentations and sharing your experiences has been extremely rewarding for an amateur photographer who wishes to improve one skills. i registered 3 times and i didn’t get any mails or presets. i check my junk mail also. Thank you very much Mr.Viktor.